Living in a seaside town can present many challenges, one of which is keeping the exterior of your property clean. The scenery around the Dartmouth area draws tourists in every year and the impressions that the outer layer of your property gives off, tends to be the one that sticks. In order to make sure that your property says the right thing about you, you will need a Gorilla in your corner. A proper Dartmouth pressure washing can leave your property looking great, without any effort from you. The exterior of your home or business is the only thing separating you from a damp morning or chilly snowfall. Having this barrier is a vital part of making your space welcoming, comfortable and – well, useful. As useful as they might be, these walls don’t always look great. There is nothing standing between your walls and moisture, dirt and other elements, so it is no wonder that all of these leave their mark on your space. In order to achieve the best results for your Dartmouth pressure washing, stains need to be treated in layers. Just because you clear off some of the surface build-up does not guarantee a good result for your property. Instead of stopping at the surface, our Gorillas guarantee a deep-down clean. 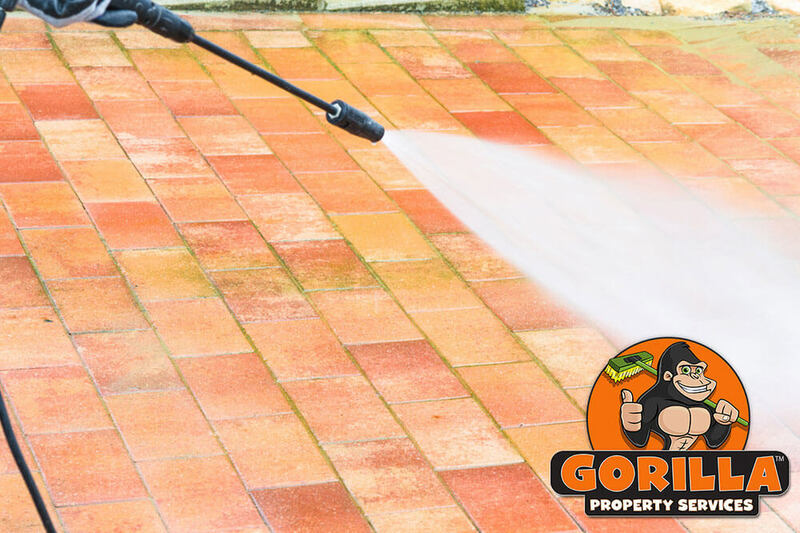 The first step in our Dartmouth pressure washing is an application of our eco-friendly cleaning agents, followed by a bit of elbow grease with our Gorilla brushes. Once surface dirt is treated, pushed and scrubbed away, our Gorillas get to work with pressure washers to ensure a deep clean. In addition to getting the results that you need for your space, our Gorillas operate safely, blocking off any potential run-off from entering water reservoirs and drains.